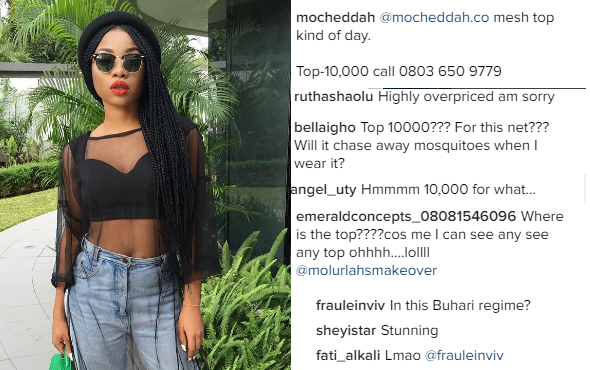 Nigerian singer and entrepreneur, Mocheddah showed off the mesh top (pictured) from her Mocheddah clothing line and listed the price at N10,000. Some fans slide into the comment section to complain that the top is too expensive for that amount. One of the commenters wrote: "in this Buhari regime?" lol.